Cairo is an innovative contemporary design, inspired by the Constructivist and Bauhaus movements, and handcrafted in luxury materials. 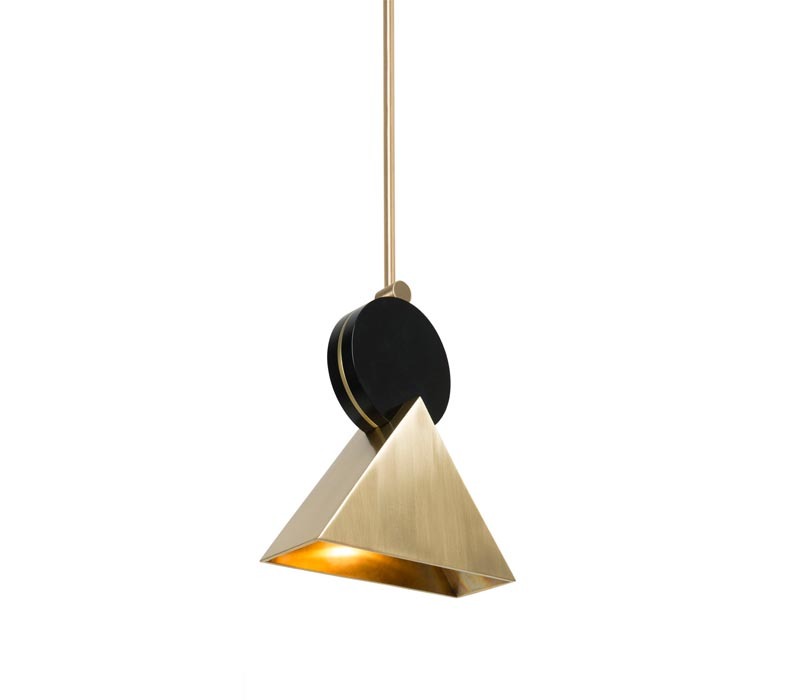 Drama is created by the radical balancing and piercing of the pattened graphic pyramid and circle shapes, suspended in space by a single brass rod. 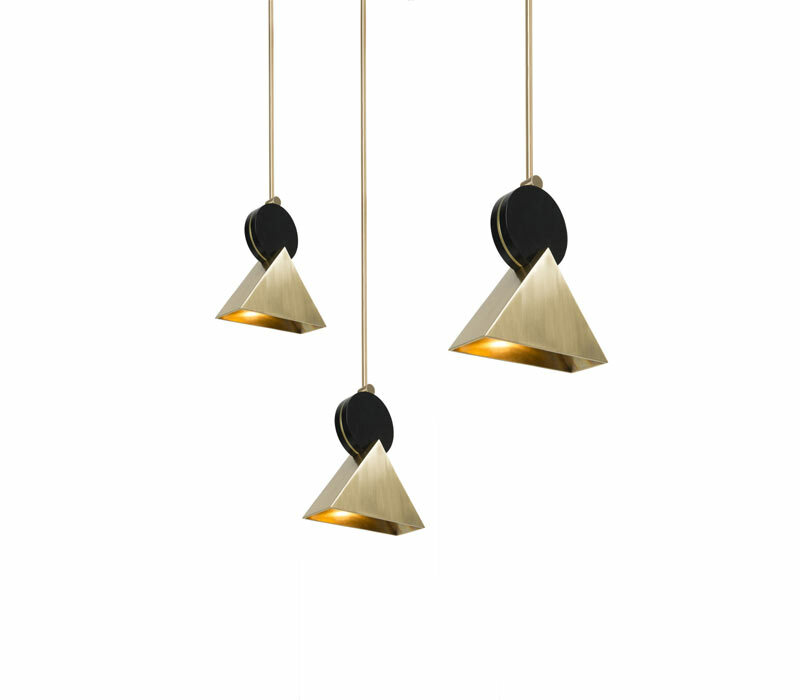 The single pendant Cairo is an especially versatile member of the Cairo collection, and can be customised to suit different situations and hung as a single pendant or in multiples. 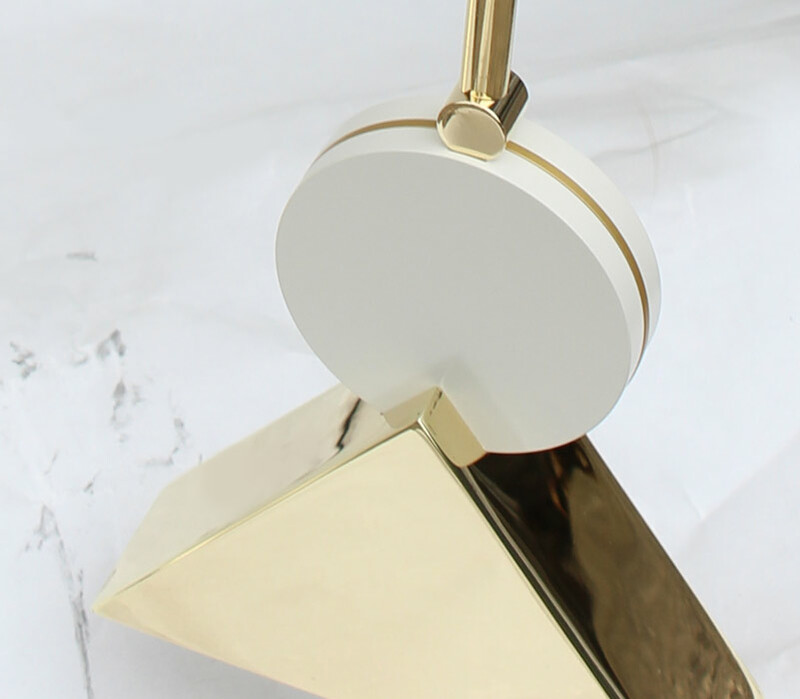 Designed to hang individually as bedside lamps, over tables and counters, and as a custom multiple pendant for stairwells, entrances, living rooms.